The NHSLA has announced a new mediation service for clinical negligence disputes, following on from its pilot. ‘Mediation is an excellent forum for dispute resolution and provides injured patients and their families with an opportunity for face-to-face explanations and apologies when things go wrong and reduces the need for unnecessary litigation,’ said the NHSLA CEO. It is interesting that no mention is made of the payment of damages as one of the outcomes of the process. The launch of this mediation offering is hugely significant as it sends the signal that NHSLA is embracing mediation as the best way of resolving disputes. There is no obligation on firms to accept the panel mediators put forward although there is an advantage in them doing so as presumably the costs will be competitive. It will be interesting to see whether claimant firms agree to use this service, or prefer to put forward their own mediators. It is hoped that Claimant lawyers do not make the assumption that the panel mediators are in any way lacking in independence and understand that the close monitoring of their performance will not impact on this. There is no question that the panel mediators have the requisite experience and ability to mediate in clinical negligence disputes, or they would not have got through NHSLA’s tough tender process. Often the appointment of a mediator can become controversial in itself, particularly if they are more expensive than other alternatives. This is an extremely positive step and most people will agree that one area which could benefit from more mediation is clinical negligence claims. It was recently reported that the NHS has paid out more than £6 billion in negligence claims in the past decade and will need more than £50 billion to pay for expected future claims. 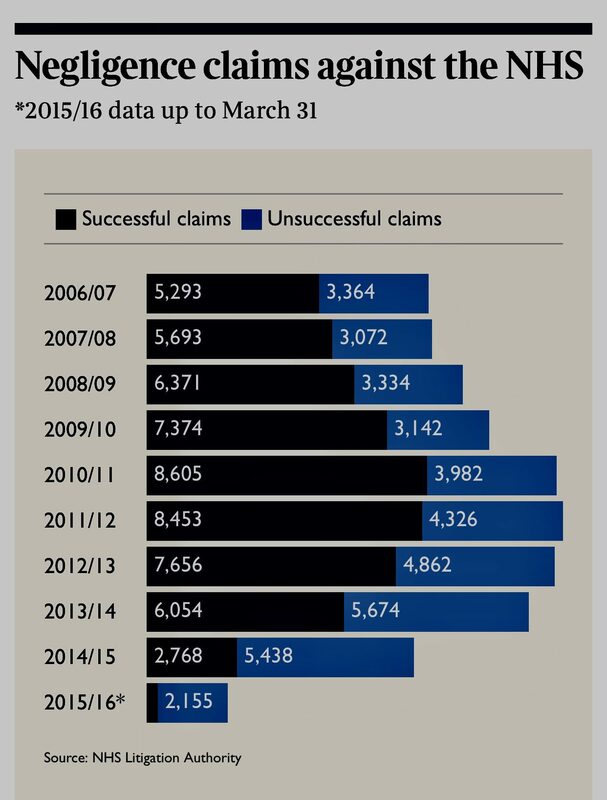 The health service received 5,419 claims in 2006-7 and this rose to 10,965 in 2015-16. Ten years ago £666.9 million was paid by the NHS to deal with healthcare errors. In the past financial year it was forced to reserve £2.28 billion to pay for potential damages. 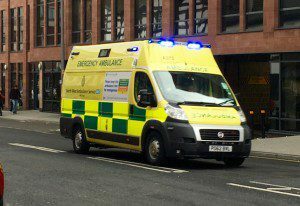 The NHSLA said that despite the number of claims falling by 4.6 per cent last year, claimant legal costs had risen by 43 per cent. It said that for the past decade there had been an increasing number of patients reporting incidents, with an increasingly litigious culture being propelled by an increase in “ ‘old-style’ no-win-no-fee agreements” with lawyers. It comes as the NHS faces its biggest financial crisis, with hospital deficits reaching a record £2.5 billion last year. In its annual report, the NHSLA calculated it would need up to £56.4 billion to cover existing and anticipated liabilities. Although the body will pay out the damages over a period of decades, the figure is the equivalent to almost half the NHS’s annual budget, which was £117.2 billion in 2015-16. Birth injuries, which account for about 40 per cent of all damages paid out by the NHS, remain a serious concern. However a proposal has been put forward for a redress system for such claims. It is clear from the minutes of the NHSLA AGM in 2016 that the NHSLA has given mediation an endorsement and sees mediation as showing promising signs of helping them in resolving claims fairly and promptly in appropriate cases. However, there appears to be a contradiction between their desire to increase mediation whilst at the same time fighting more cases to trial. It is not clear how they expect their panel mediators to resolve more cases whilst adopting a defensive approach. These cases will inevitably be hard to mediate if that is the approach. They consider that mediation enables them to obtain good value for the NHS and also enable them to generate positive outcome for both patients and the service on claims. This comes at a time when the cost of claims and damages has increased dramatically. The court system is slow and expensive and if the NHSLA are losing 40% of cases they take to trial, this represents a 40% saving that could be made. Even the costs of those claims that they win could be reduced by mediation which can point out the problems Claimants face. “The NHSLA continues to have an important role in ensuring that cases where there has been no negligence or where there is an important point of principle to be tested are contested appropriately. We significantly increased the number of cases we took to trial this year by 45% in total whilst maintaining a success rate of 60%. “We recognise that we share a number of common aims with firms who act for claimants. In particular it is a core aim of the NHS LA to resolve claims promptly and fairly, to get to the right answer as soon as possible and to deliver compensation swiftly where it is due. The MPS noted the plans to extend the mediation pilot and procuring for providers and asked whether they would be going to extend the category of cases. The response was interesting in that the NHSLA pilot focused on fatal and elderly care because in its view those cases were particularly susceptible to mediation and often involve issues that involve the wider family. They will be extending the service to all suitable cases and saw the pilot as an opportunity to given an impetus to their aim to see greater take-up of mediation across the clinical portfolio. The MDDUS were disappointed with the lack of take-up of mediation. They asked what the NHS LA thought were the reasons for this and whether it is anything related to the legal industry? The NHSLA said that lawyers are perhaps not used to mediating and one of the first steps they took prior to launching the mediation pilot was to ensure that all of their senior claims senior staff had undertaken mediation training so they were up to speed on the latest models for mediation. They recognised that mediation requires different skills. Some lawyers may have tried mediation over 10 years ago and found that the process was akin to a trial in terms of preparation. Nowadays however there is a different model and one of the things they learnt from the pilot is that it was important to upskill their lawyers and own staff to ensure they were fully versed in how mediations can work, how we get the best of out of them and also which cases are most suitable. They have also undertaken a 360 degree review of each case to ascertain what the experience was and asked lawyers, mediators, patient and family and their own team for their feedback. The feedback will allow them to tailor their new mediation scheme and ensure a much better outcome. They will also be able to promote the option of mediation more widely than they did in the pilot. The pilot wasn’t limited but was targeted on fatal and elderly care claims. The NHSLA actively sought cases to be put forward and some claimant firms were very engaged with it. It remains to be seen how the new NHSLA mediation scheme will work in practice and how it will tie in with any new fixed fee costs regime which might apply. If NHSLA continues to take more cases to trial, with a 60% success rate then it is hard to see how mediation can break through this ethos. The NHS Litigation Authority ends up paying damages in more than three-quarters of cases even after the issue of proceedings, the Gazette can reveal. The authority closed 2,514 cases in 2015/16 with the payment of damages, compared with just 797 that were successfully closed without any compensation payment, figures obtained through freedom of information requests reveal. The figures show starkly how expensive cases can be once proceedings are issued: in the 3,281 cases settled before proceedings were issued, claimant costs last year were £65.7m. In the 2,514 clinical claims closed after proceedings were issued, claimant costs jumped to £213.1m. 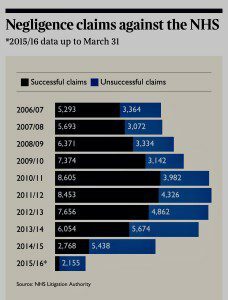 Total legal costs where cases settled early were £52.7m, compared with £258.6 where the claims were prolonged. The Society of Clinical Injury Lawyers (SCIL), which obtained the figures, says the fact that 76% of extended cases still led to damages shows defendants are drawing out meritorious claims unnecessarily. Webber said defendant behaviour, including failure to provide prompt disclosure or to make early admissions, is causing cases to be settled late in the litigation process. However the NHSLA has said that the figures are misleading as proceedings can be issued for various reasons, including limitation or because the settlement requires court approval. A spokesman added: ‘The NHSLA has no reason to prolong cases and works closely with many specialist claimant lawyers to settle justified claims fairly and as quickly as possible, resolving thousands of claims every year by negotiation. This is a pivotal moment in the debate around legal costs for clinical negligence claims. If mediation works then this could result in a large saving of costs.